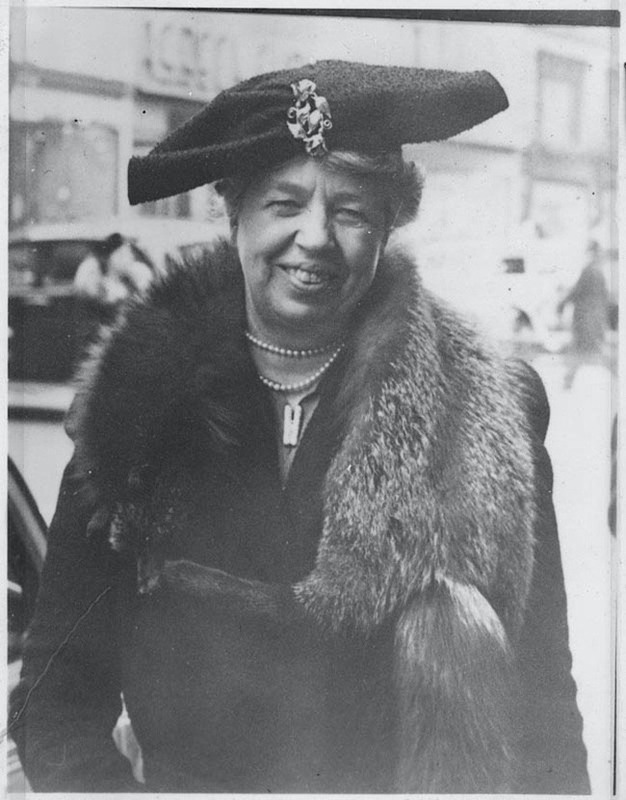 March is Women’s History month and this year I’m bringing an unlikely person to the forefront, Eleanor Roosevelt, wife of President Franklin Delano Roosevelt. Although I’m not sure where I originally found this information, I’m super excited to finally have the opportunity to share her story. Roosevelt kept a secret regarding firearms that might surprise you. Born October 11, 1884, in New York City, Eleanor Roosevelt, the niece of President Theodore Roosevelt, married Franklin D. Roosevelt on March 17, 1905. A politically active First Lady of New York State, from 1929 to 1933, Eleanor broadcast “Women in Politics” on NBC radio, edited the Women’s Democratic News and did major fundraising for the National Democratic Committee’s Women’s Activities Committee. On March 4, 1933, Eleanor Roosevelt became the First Lady of the United States and occupied this position until her husband’s death on April 12, 1945. Throughout this time, she penned columns in Women’s Home Companion magazine, Ladies Home Journal and McCall’s, as well as a syndicated newspaper column. She also gave almost 1,400 speeches, had her own radio shows and published numerous books. Wow … how did she get it all done? 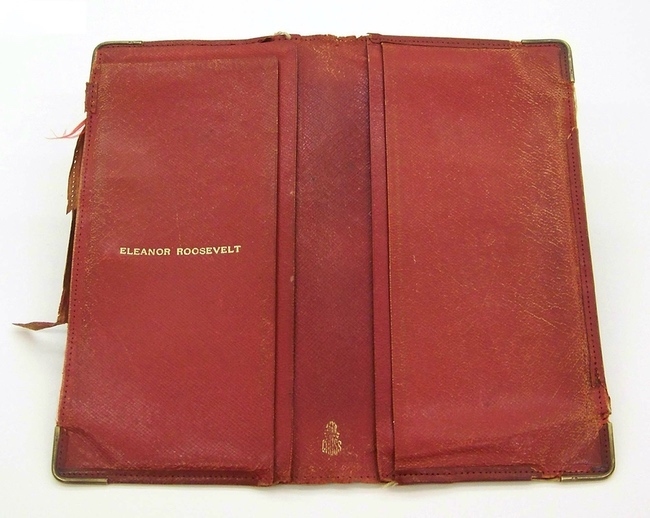 I could go on and on about all of Eleanor Roosevelt’s accomplishments and various endeavors. But what really intrigued me about this amazing women is the contents of her wallet at the time of her death. 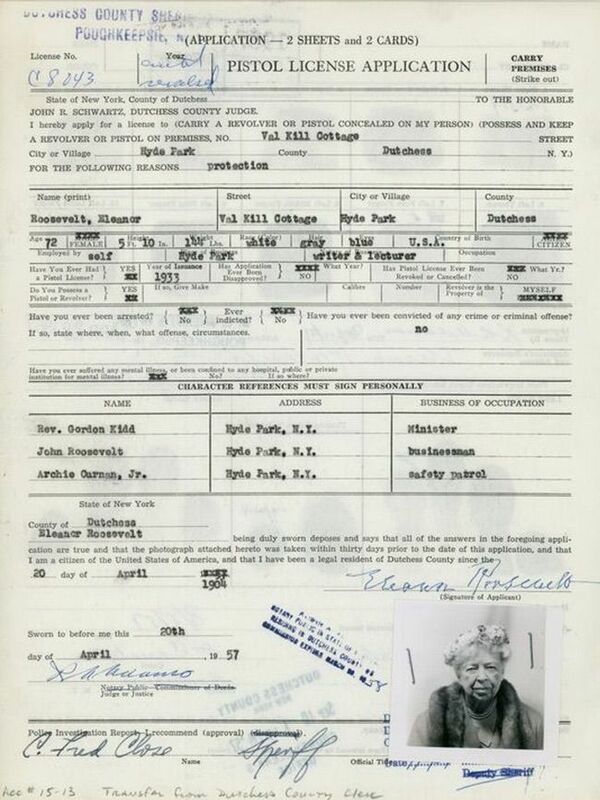 At 72 years, Eleanor received her License to Carry Pistol permit on August 5, 1957. 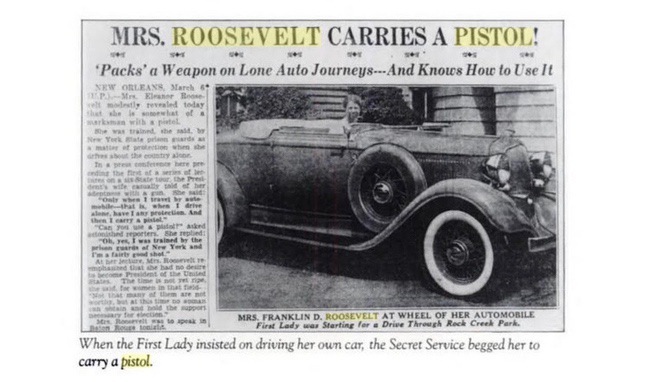 However, through my research, I found out that she carried a pistol well before that, maybe not concealed, during her time as First Lady. In one of her newspaper columns, she is quoted as saying, “I do not mean by this that I am an expert shot. I only wish I were. 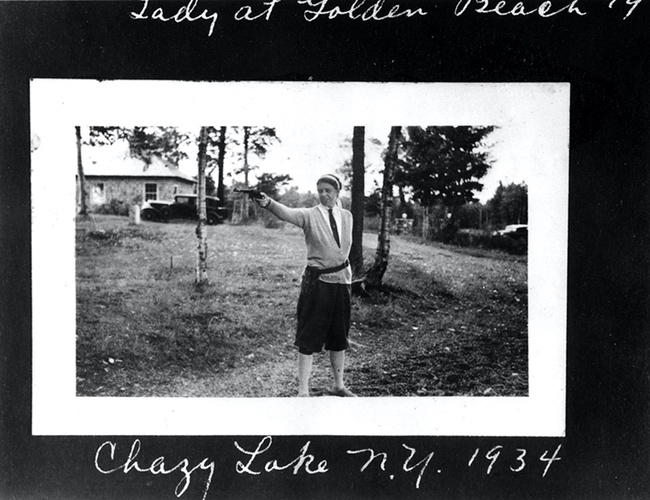 … My opportunities for shooting have been far and few between, but if the necessity arose, I do know how to use a pistol.” And as for training, upon her request, one of her husband’s former bodyguards taught her how to use the revolver she kept in the glove compartment of her automobile. Eleanor Roosevelt died at age 78 on November 7, 1962, in New York City. Her funeral was attended by President Kennedy and former presidents Harry Truman and Dwight Eisenhower. She was buried next to her husband on the grounds of the Roosevelt estate in Hyde Park. 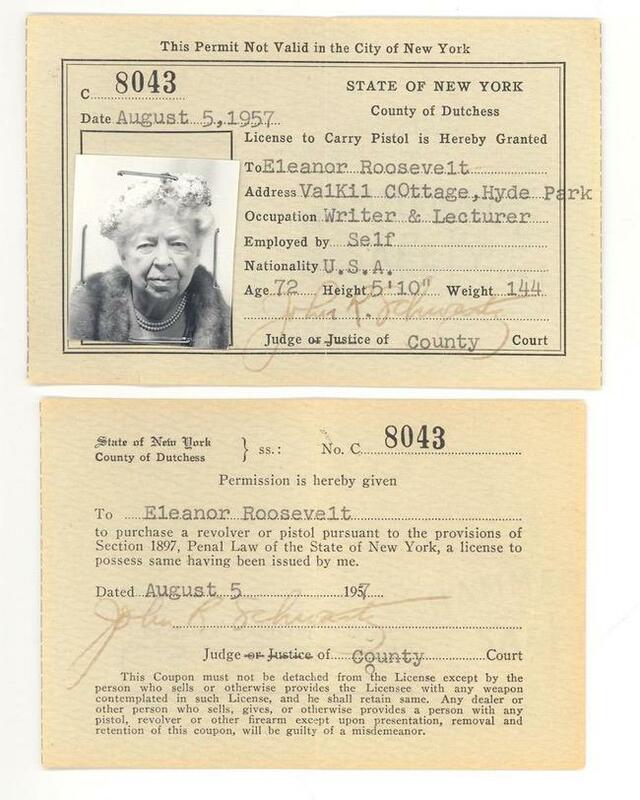 Eleanor Roosevelt her own first responder. 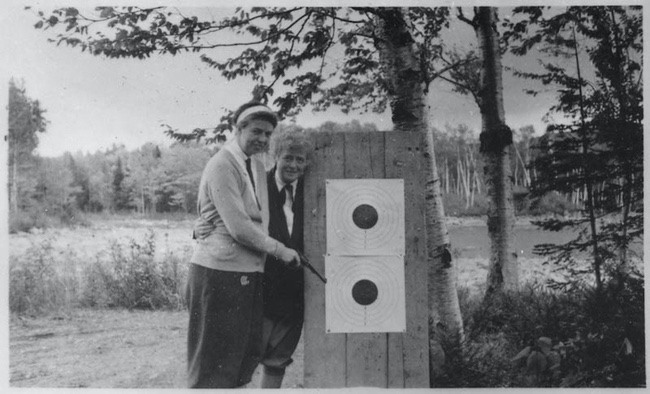 Like many women I know, Eleanor Roosevelt took safety into her own hands. 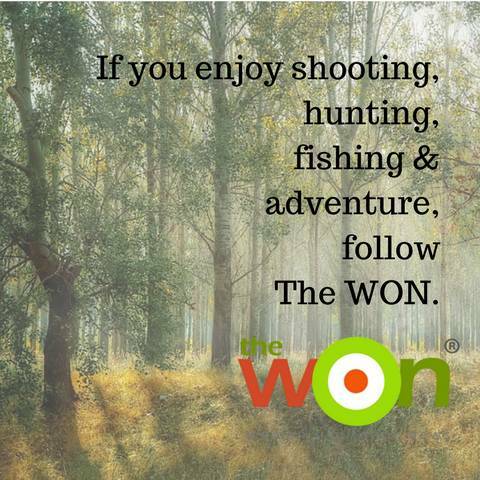 She learned how to handle her gun and took lessons from a qualified instructor. Traveling without Secret Service meant the police were minutes away when the threat was seconds away. 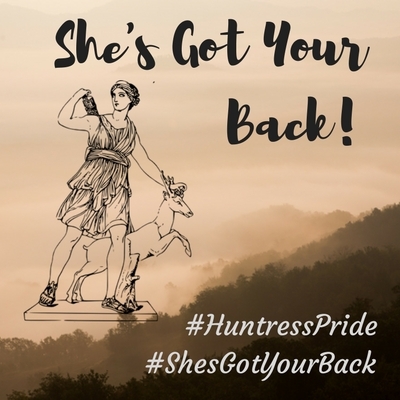 She was her own first responder.